"Class of '89 Night" to be held at Hamilton's Red Robin. Copy and print the graphic above to participate in this necessary fund raiser. Go Fellow Hornets! I want to let you know that the Class of '89 Reunion Committee is holding a HHW Class of '89 Night at Red Robin on May 13th from 5-8 pm at Hamilton Marketplace. 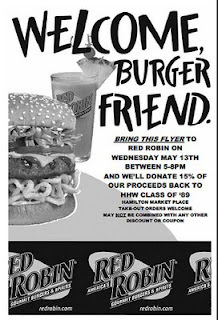 For information, go to the hhwclassof89.com website, click on Fundraisers, then click on the Red Robin logo, a page will open for the flyer to print out and then go to the restaurant to be given to the server and the Class of '89 will get 15% of the proceeds from that night. 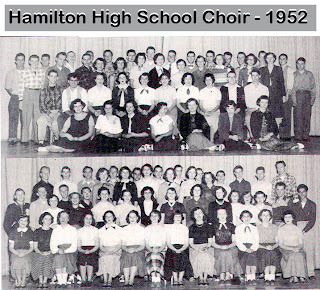 Some of these singers were in my years as a member of the HHS choir. 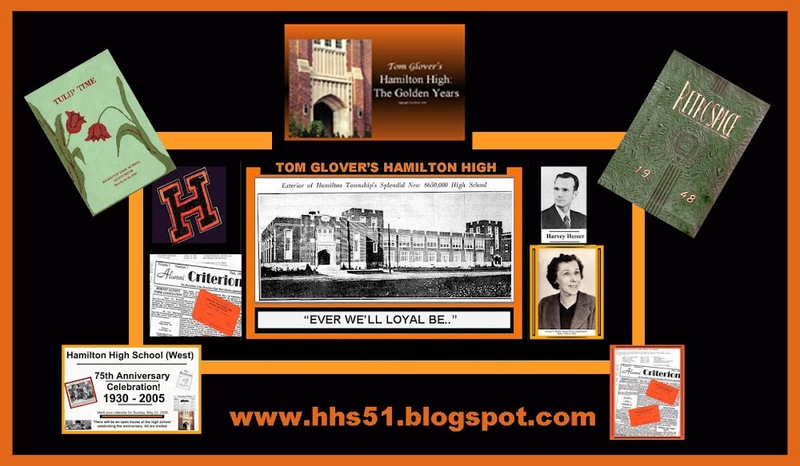 Through the years, Hamilton High's vocal music accomplishments are legendary. During WWII, the choir sang at numerous events for the soldiers at Fort Dix. Louise Baird had a scrapbook filled with warm letters of appreciation from those who were exposed to our music. Today, Ms. Sue Proulx keeps the tradition of musical excellence as the vocal music director at "West."